When it comes to Chinese New Year, many are willing to splurge on meals with family and friends. Well, at least, most of my friends and family do. After all, they reason “let’s have a great meal, at least once a year and especially since it’s the Chinese New Year!” Eating well during the 15 days of Chinese New Year signifies good tidings and abundant blessings throughout the year. That’s what my mother taught me anyway. For a gourmet meal that doesn’t compromise on quality, the classy Noble Mansion in Plaza 33 Petaling Jaya won’t go wrong. Executive Chef Justin Hor and his team has come up with Gourmet Sets ranging from RM999++ to RM4,688++ per table for 10. If you do not have a group of 10 dining, there are also Individual Menus (for minimum 2 pax dining) with prices ranging from RM128++ to RM438++ per person. We sampled some of the dishes from the various menus at Noble Mansion recently. 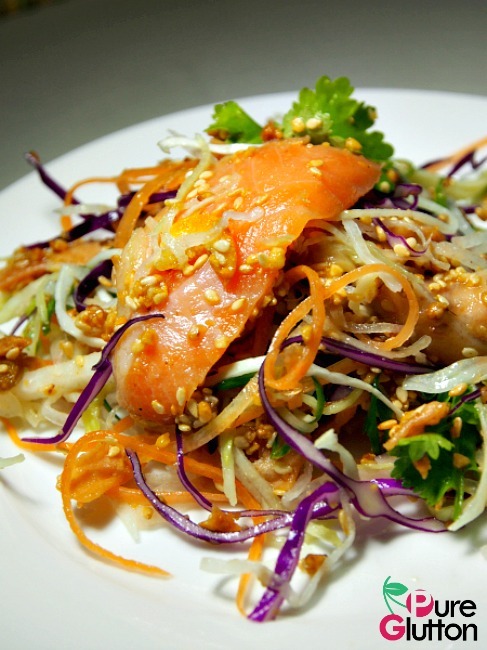 Yee Sang with Seared Salmon Belly and White Truffle Powder got us off to a good start. It’s a lovely colorful platter of shredded vegetables and fruits – lending vibrant colors to the dish are purple cabbage, mangoes, cucumber, coriander leaves, pomeloes and raisins. The white truffle powder gives this yee sang an earthy nuance which does blend in well. 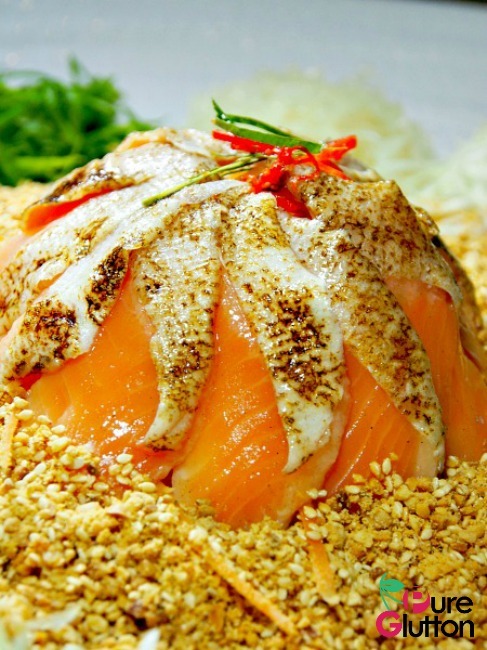 The lightly seared salmon belly pieces are piled up high in the middle – the mound of prosperity, I call it. Crispy Iceland Cod Fish with Mandarin Orange Cubes comes in a stunning presentation. 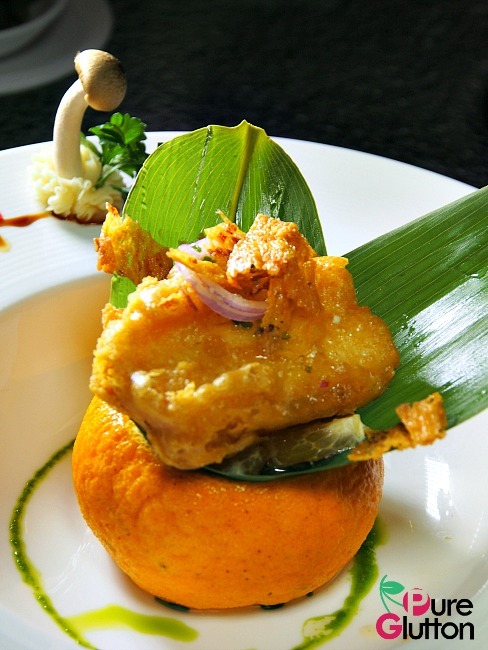 The cod fish is lightly battered and deep-fried and then propped onto a whole mandarin orange lined with bamboo leaves. The tangy orange cubes help balance the richness of the fried cod. This item is featured in some of the set menus but it can also be ordered as an individual portion at RM18++ each. 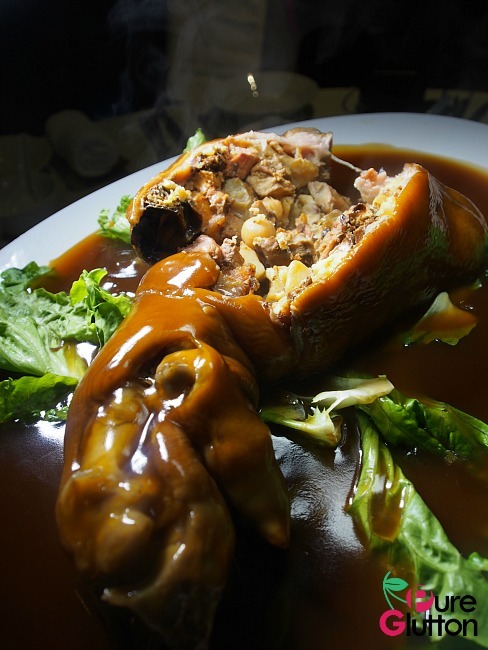 Braised Whole Eight Treasures Pork Trotter is a glorious sight when it’s brought to our table. 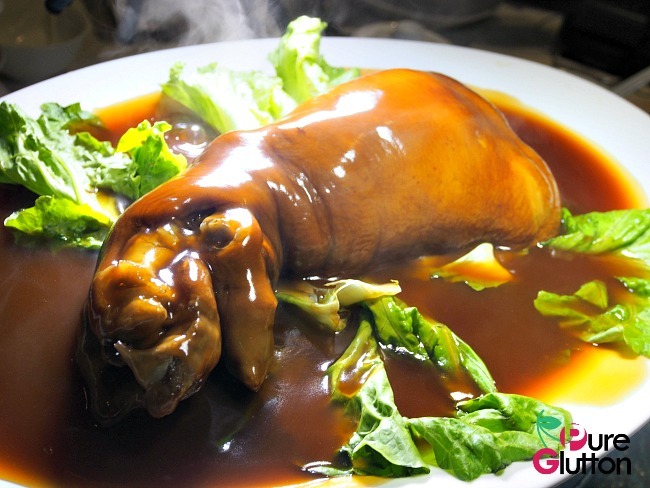 The gleaming shiny plump whole trotter sits on a deep dish of amber-colored thick gravy. Then it’s slit open and the treasures all tumbled out amidst a stream of fragrant steam. 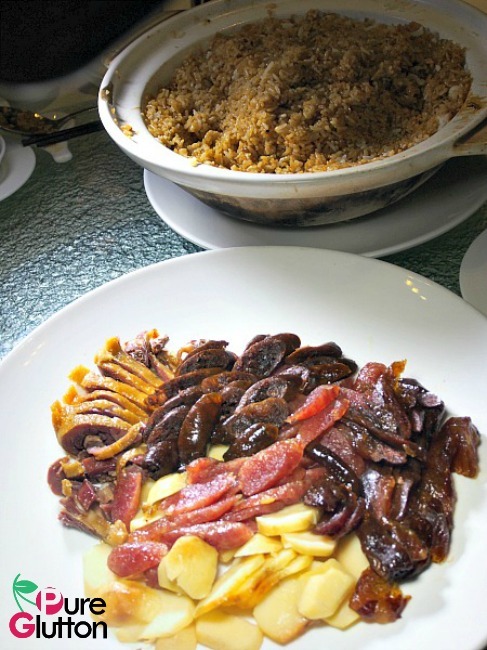 The treasures consist of roast pork, chestnuts, mushrooms, dried oysters, among others. I can imagine the skill needed to debone this trotter as the whole center bone has been removed without slitting open the meat. Thus we got to tuck into pieces of tender boneless trotter with extra mouthfeel from the treasures! This dish is priced at RM98++ per portion. 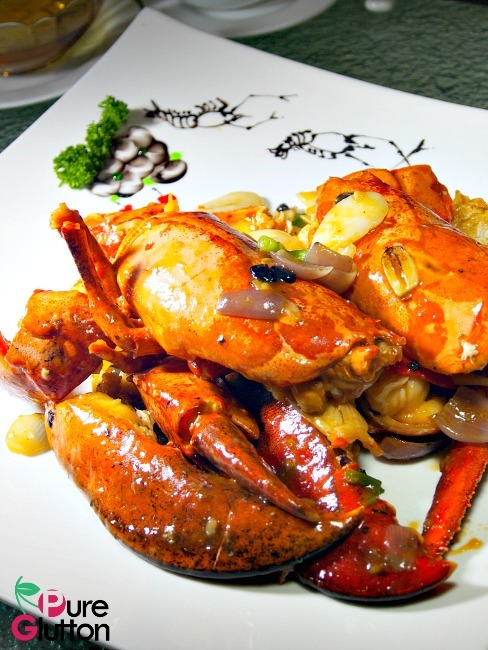 We love the Braised Boston Lobster with Shanghai Rice Cakes & Garlic. 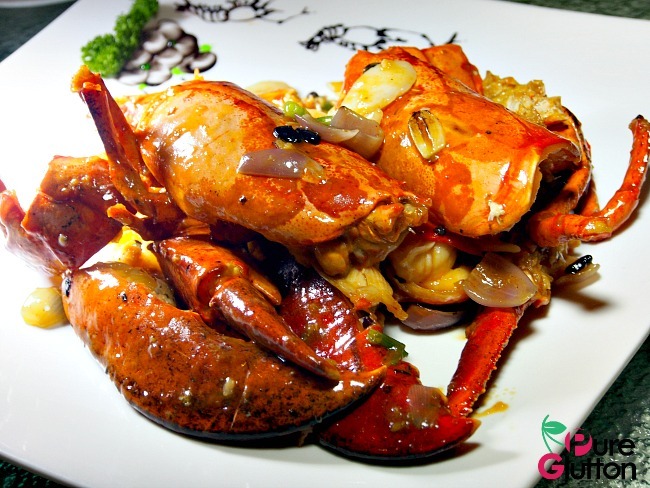 The sweet flavours from the succulent lobster drenched into the slices of rice cakes, made more fragrant by the garlic. Every piece of the rice cake is coated with the umami goodness from the lobster. The lobster is RM33++ per 100g. Just look at the food art on the plate! 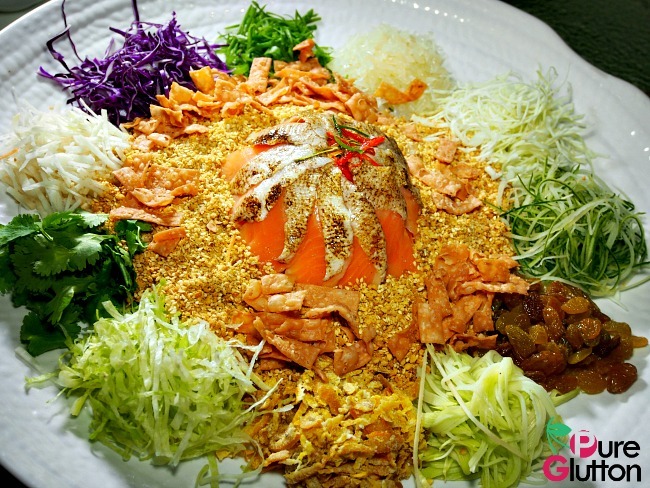 A CNY meal isn’t complete without a fish dish as the Chinese believe that fish signifies prosperity. 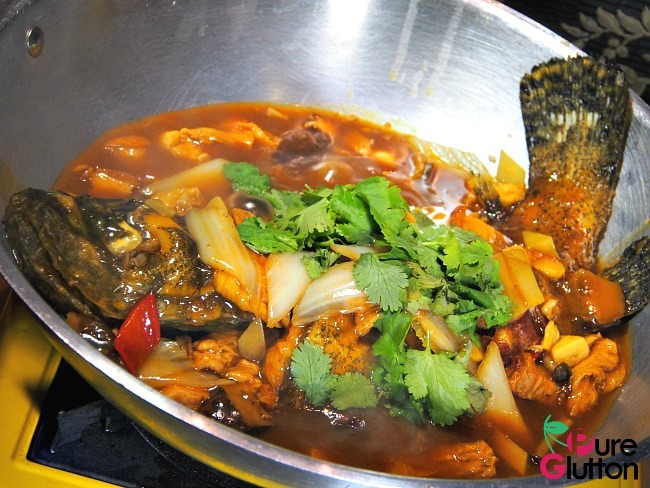 If you are tired of the usual steamed fish dishes, try the Braised Tiger Garoupa with Roast Pork & Mushrooms which is served in a shiny stainless steel wok. White rice would be needed to mop up the thick delicious gravy though. Fish and roast pork is a killer combination. This wokful of tiger garoupa and roast pork goes for RM330++. 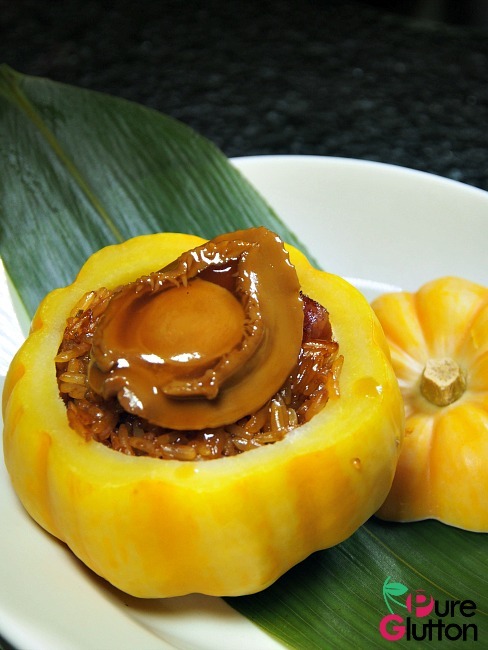 Stir-fried Glutinous Rice with Whole Abalone in Pumpkin (RM48++) is a gorgeous item and will definitely stop conversation for a while. Once the top of the golden Japanese pumpkin is removed, a whole braised abalone kinda grins up at you from its seat above the rice. 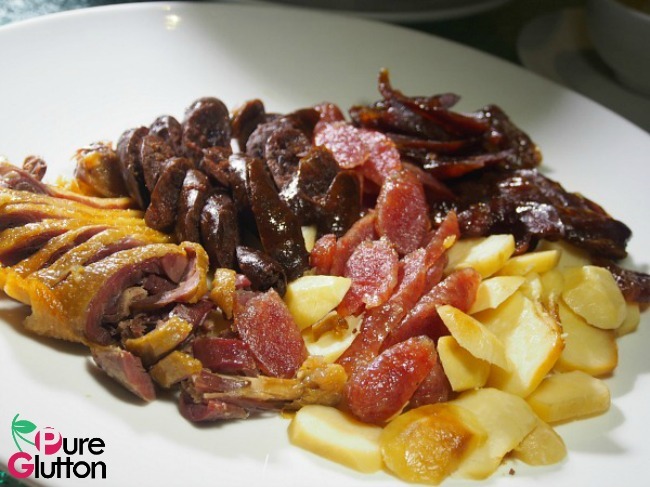 Noble Mansion’s Lap Mei Fan – Steamed Glutinous Rice with Waxed Meats comes with Chinese sausage, waxed duck, liver sausage, waxed pork and also slices of arrowroot. 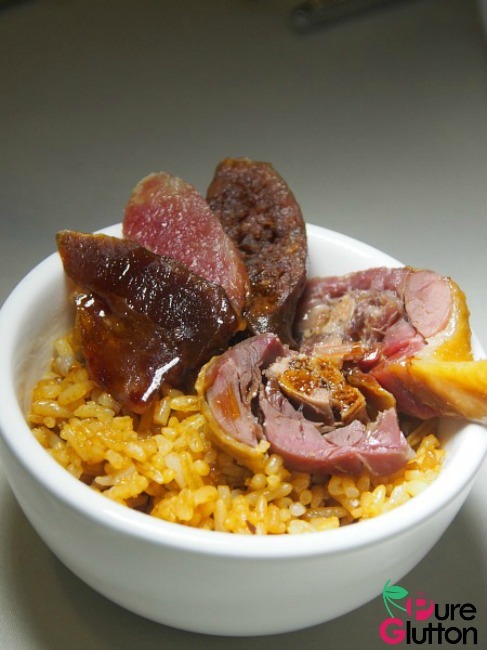 As Lap Mei Fan generally makes its appearance only during Chinese New Year, it is a popular dish to round off a meal. It’s RM68++ for a small pot (4-6 pax) and RM108 for a big pot (8-10 pax).